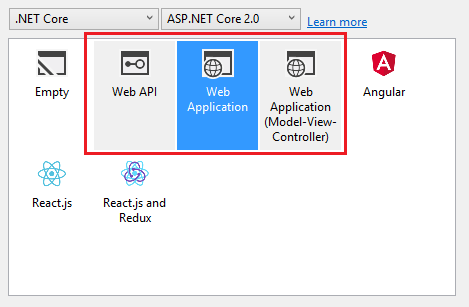 If you are worked with ASP.NET Core 2.0 before you are probably aware that Visual Studio 2017 offers three basic project templates for creating ASP.NET Core 2.0 projects. They are Web Application (Razor Pages), Web Application (MVC), and Web API (see below). Interestingly Web Application project defaults to Razor Pages. 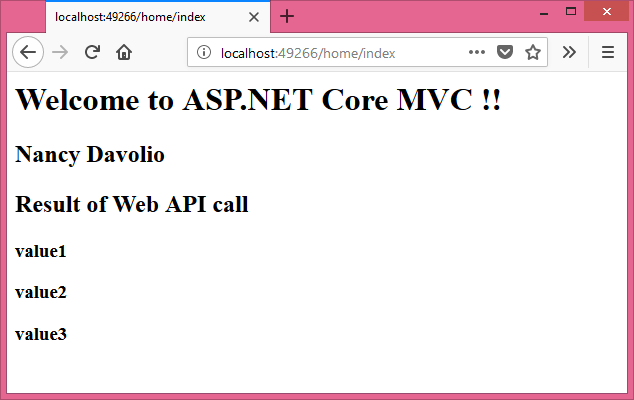 It is important for the beginners to be aware that although these are three different project templates, you can have all these development options - Razor Pages, MVC, and Web API - inside a single ASP.NET Core web application. These three technologies work seamlessly with each other and can happily coexist in a single project. To that end the remainder of this article explains how to setup an Empty project to use all of them together. When Microsoft released ASP.NET Core 1.0 it had only MVC based development. For developing web applications developers used MVC and for building services developers resorted to Web API. 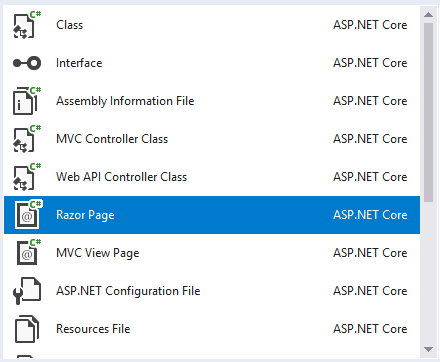 In ASP.NET Core 2.0 they introduced Razor Pages. When you are doing MVC style development the focus is in the controllers. It's the controller that prepares model and sends it to a view. In Razor Pages the focus shifts to UI or the web pages. Razor Pages allow you to develop page focused application where each page is a sort of independent unit in itself. Razor Pages don't have any controller at all. The UI goes inside a .cshtml file and the code goes inside a Page Model file. The Page Model class contains actions that deal with HTTP verbs such as GET and POST. If you developed web applications using ASP.NET Web Forms (code behind approach) you will find Razor Pages approach familiar. 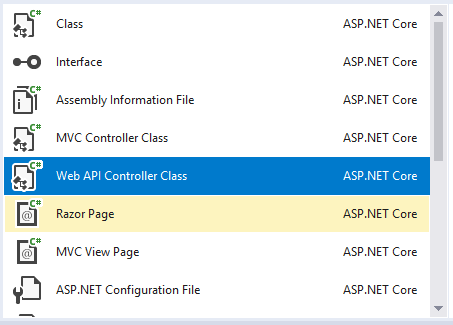 Web API continue to use a controller based development. In spite of these differences you can create a single project that makes use of these three development options. Core features such as model binding, DI, sessions, and cache can be utilized in Razor Pages as well as MVC in the same way. The ConfigureServices() calls AddMvc() to add the required services to DI container. The Configure() then calls UseMvcWithDefaultRoute() to add MVC middleware with default routing configured for us. Now that you have created the project, let's prepare it to use Razor Pages. To add a razor page. right click on the Pages folder and then select Add > New Item. Select Razor Page item and specify name as Index.cshtml. Click on the Add button. You will observe that two files - Index.cshtml and Index.cshtml.cs - get added to the Pages folder. Ok. Now let's prepare our project to use MVC. Create three folders - Models, Views, and Controllers under project's root folder. Then create Home subfolder under Views folder. Add a model class - Employee - inside Models folder. Add a controller - HomeController - under Controllers folder. Also add Index.cshtml view under Views > Home folder. Now add API folder under project's root. 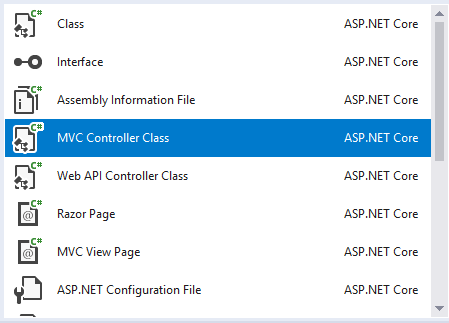 It's not required to isolate Web API in a separate folder, you can keep them in Controllers folder along with other MVC controllers. But for the sake of better organization I am storing the Web API inside the API folder. 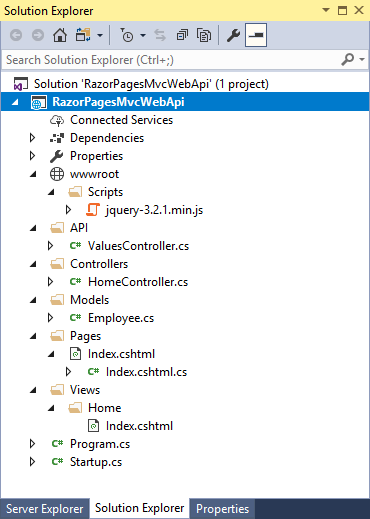 Then add a Web API controller - ValuesController - inside the API folder. The values controller will contain Get() action that returns a couple of string values. Keep that intact since we need it for our testing. To complete the project setup add Scripts folder under wwwroot and place jQuery library in it. We need jQuery to call the Web API. So far so good. Now it's time to add a dash of markup and code to our application so that we can confirm its working. The IndexModel class contains FullName public property. The OnGet() action assigns a value to FullName and also stores a heading inside the ViewData dictionary. The above markup outputs the FullName and heading from the Model and ViewData respectively. Moreover, it contains jQuery Ajax code to call the Web API. Notice that the Web API can be accessed at /api/values. The return values from the Web API are displayed in the result <div> element at the bottom of the page. I won't go into details of this code since it's a typical piece of code for making Ajax calls. The above code prepares the Employee model object by setting its FullName property. It also stores the heading in ViewData dictionary. Finally, it passes the model to the Index view. This is basically the same that you wrote in the Index.cshtml razor page but uses Employee model class rather than a PageModel class. Ok. 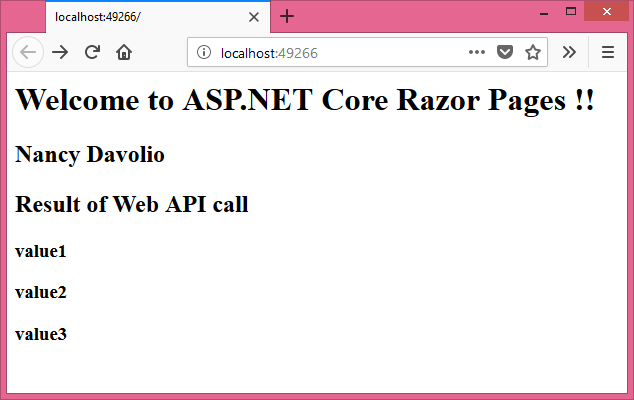 So, we have a razor page, an MVC controller, and a Web API controller housed in a single ASP.NET Core project. Let's see whether it works as expected. 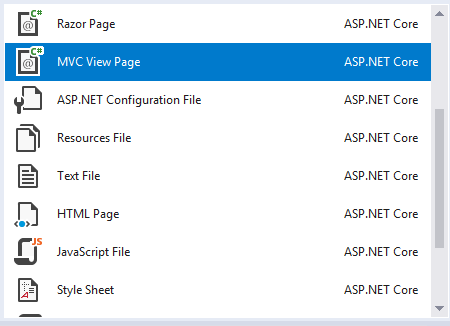 As you can see razor pages, MVC, and Web API are working happily in a single web application.